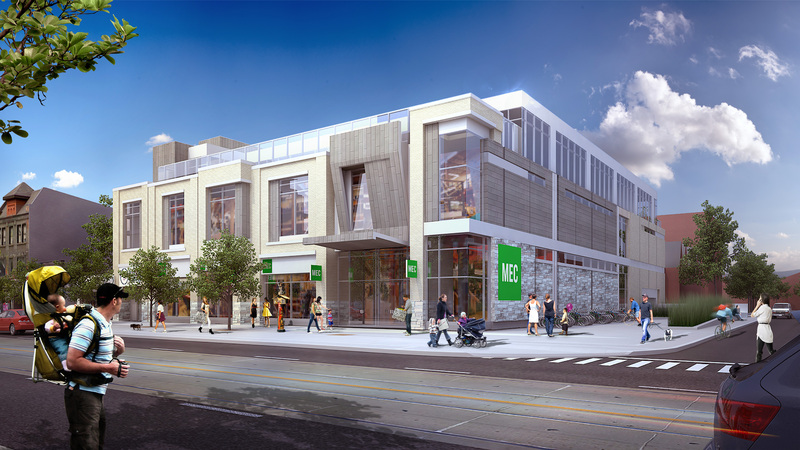 MEC is moving their Toronto downtown flagship location north a block - from King West to Queen West. 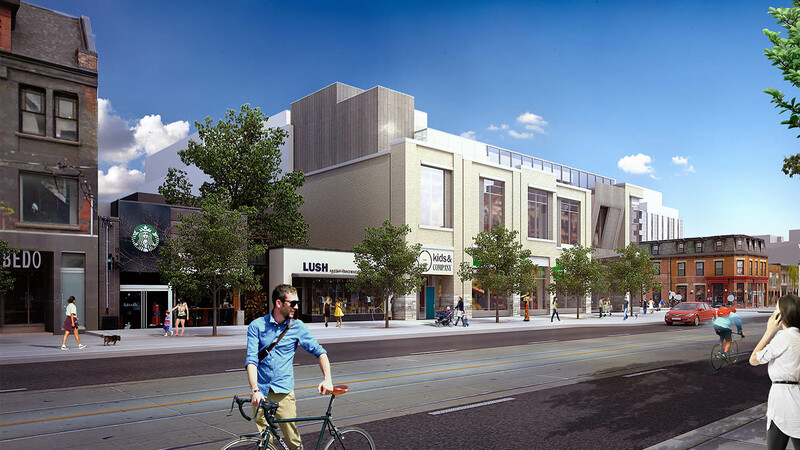 The site, previously a parking lot, is situated in the centre of the vibrant all-retail neighbourhood of Queen West. 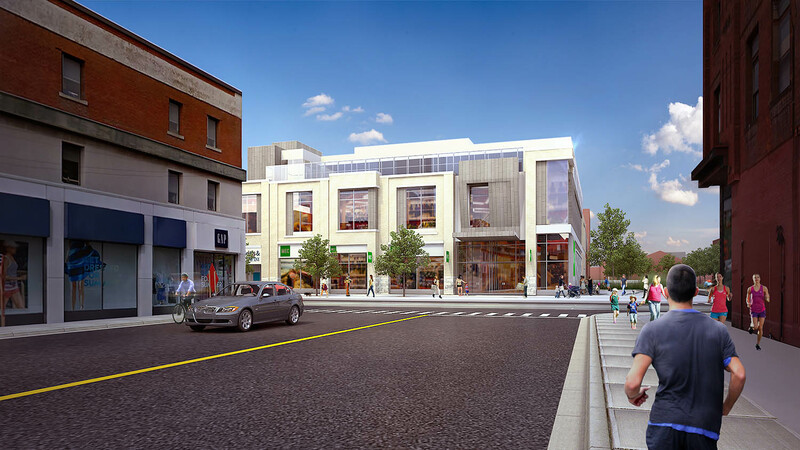 Designed according to the Queen Street West Heritage Conservation District guidelines, the development has a two-storey custom retail space for MEC at grade, respecting the character, scale and aesthetics of its adjacent heritage boutique stores. Aside from retail, this small-scale, yet mixed-use development will include office spaces on top, a daycare, and three levels of underground parking. Maximized insulation in exterior walls and roofs are proposed to ensure this new development is comfortable, desired, and environmentally responsive while adding value to the Queen Street frontage and surrounding neighbourhood.